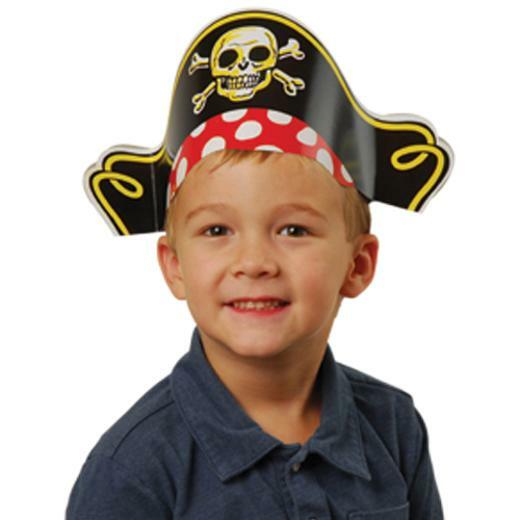 Cheap Pirate Hats - 12 Ct.
An inexpensive hat to dress up your pirate costume or delight party guests. The hat features a pirate imprint on both sides. Stock up on all your Pirate party needs with US Toy. We have a wide selection of party favors and costume accessories. Find everything you need to please the pirates at your next Pirate party or event. L: 6.0 in. W: 0.65 in. H: 17.3 in.